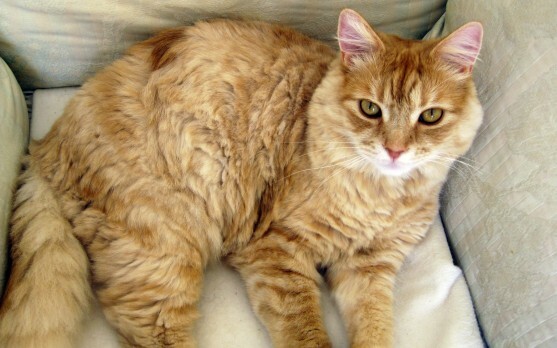 Ben is a lovely ginger male cat who sadly lost a back leg due to a genetic joint disorder (bilateral hip dysplasia) that only became apparent as he grew up. 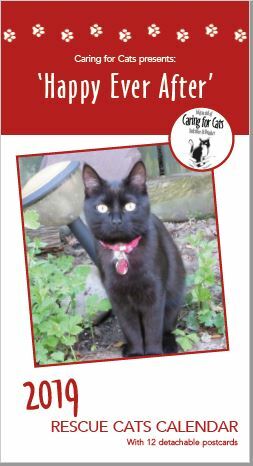 The charity took Ben back into its care, as the people who had adopted him as a kitten did not continue his Petplan insurance, and were unwilling to pay for his surgery. Despite the best efforts of our vets the problem could not be corrected on the worst affected leg which had to be amputated. Ben is currently getting about very happily with the remaining back leg, but he will need periodic treatment to manage the joint, and the charity will continue to provide this. Had his first owners continued the insurance, all the costs of his treatment would have been covered. 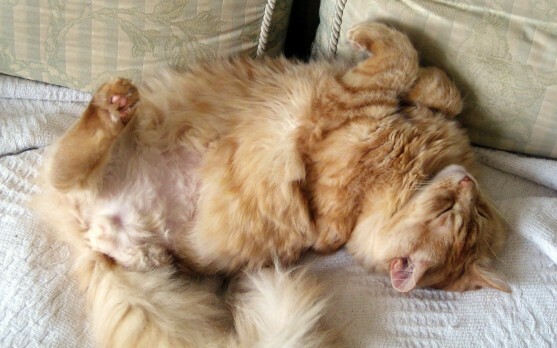 Ben is now living very happily with an experienced three-legged-cat owner and is the object of much love and affection. They will take care he is not overfed, as too much weight will overburden the remaining joint. As a young cat Ben is very playful and excitable, and he loves playing games, lots of attention, and being stroked around his muzzle. But his favourite pastime is avidly watching the birds in the back garden from his cushion right by the patio door. Thanks to Caring for Cats Ben can go on enjoying life as it was meant to be, albeit on three legs (not that he notices this).